Whenever I have a really late night spent doing homework, I know I won’t be able to sit down and enjoy a long breakfast in the morning because I’ll likely wake up late. 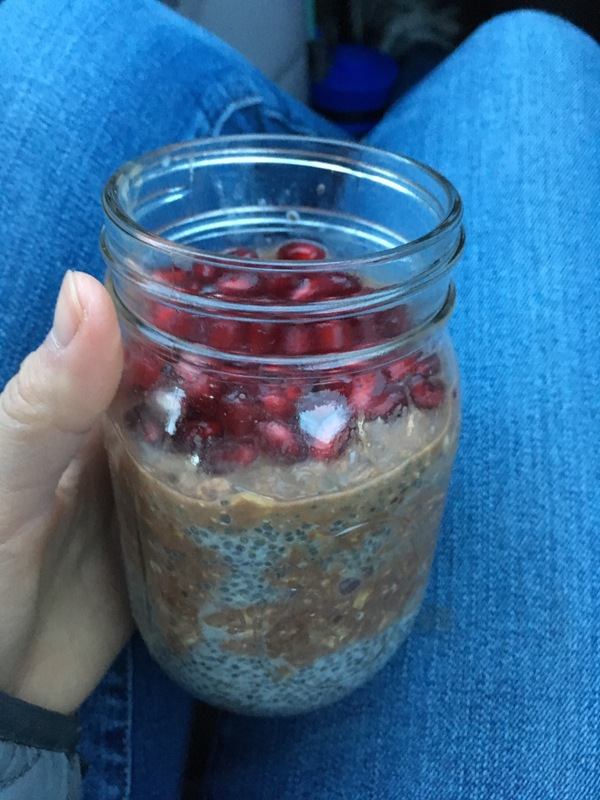 My solution used to be to make a really simple breakfast that morning to eat in the car, like an almond butter banana sandwich. But that still took too much time in the mornings. So, my solution this year has been to make overnight oats! Most of the time, I’ll make chocolate banana oats. I love the banana chocolate combination so much! Mix all of the ingredients in a mason jar or Tupperware and leave in the fridge overnight. The oats will soak in the almond milk, making them soft. In the morning, you can grab it and go, or you can heat it up too. Also, you can add additional toppings. Some of my favorites include pomegranate seeds, dark chocolate, almond shavings, and blueberries. Sometimes I even mix in chia seed pudding (3/4 cup almond milk with 1/4 cup chia seeds 1 tsp vanilla and sweetener of choice. When I don’t have banana or cocoa powder at home, I make vanilla overnight oats. Here I layered chia seed pudding, chocolate banana overnight oats, strawberries, vanilla overnight oats, and blueberries. Same as above! I add applesauce to bind the oats, but they’re optional. I also add cinnamon because it’s a nutrient-packed super food! It’s filled with antioxidants, anti-inflammatory properties, vitamins, minerals, and so much more. Even 1 tsp can have positive impacts on your body! 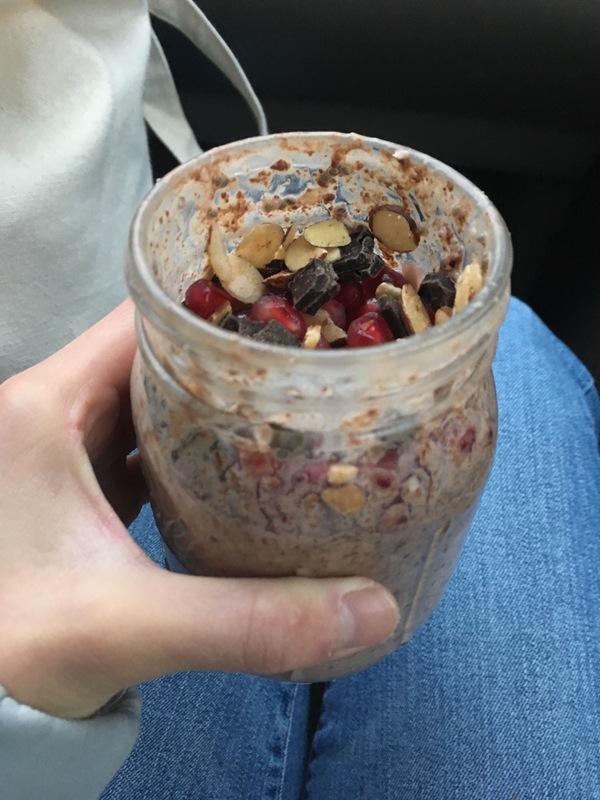 Finally, chocolate peanut butter overnight oats. Again, same as above, so easy!! 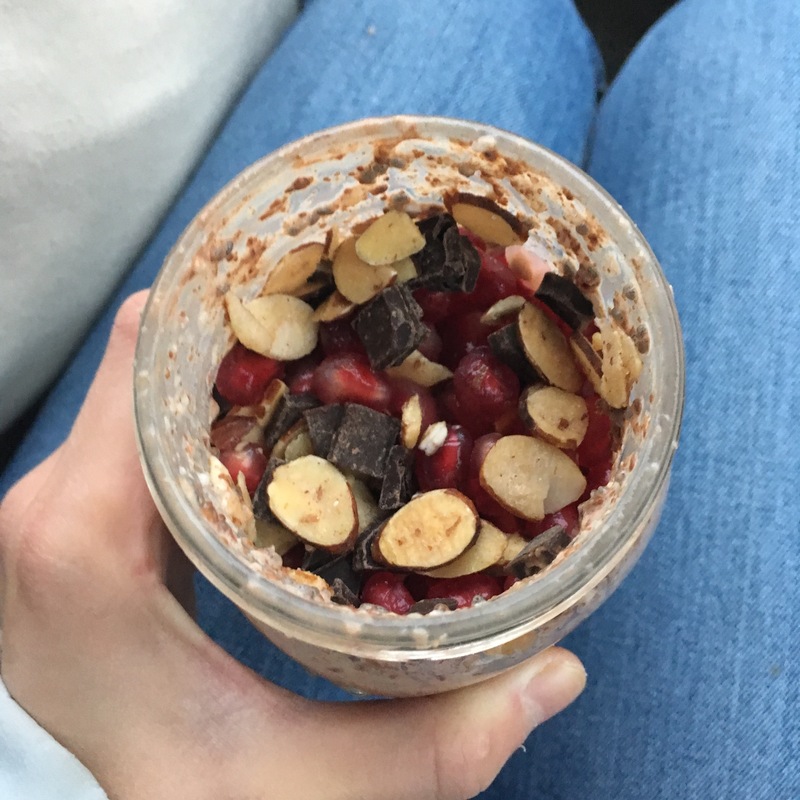 Overnight oats are my GO-TO breakfast. They’re fast, simple, and nutritious, and they give me something to look forward to in the morning! What is your favorite flavor of overnight oats?? Oh my goodddness, Serena! These look AMAZING! My husband and I have been making overnights like crazy lately, but just super simple ones. THESE though… we need to give these a go! Thanks for sharing. YUMM!